Art with a conscience: ARE YOU INDIFFERENT TO “INDIFFERENCE”? ARE YOU INDIFFERENT TO “INDIFFERENCE”? “Indifference” is originally a philosophical concept that was developped and defended by the “Stoics”. 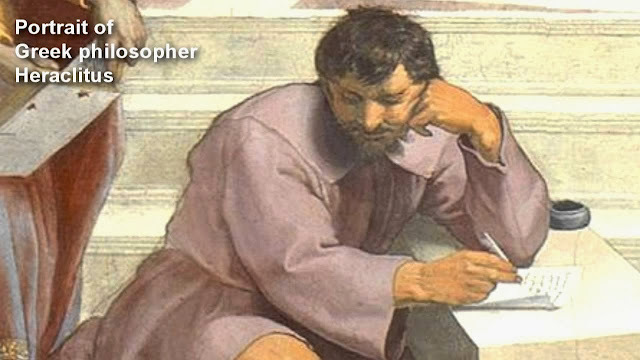 Stoicism is a school of philosophy founded in Athens by Zeno of Citium (Cyprus) in the early 3rd century BC. The main objective of the Stoic is not to be virtuous in order to do good, but to do good in order to be virtuous. “Stoic virtue” is his only way to become a “good man.” The good/virtuous man has to live his life according to “universal reason” (logos) in order to follow “nature’s (physis) laws” (but which ones?). Morality becomes then a purely rational action. Zeno of Citium, the founder of Stoicism, defended this radical proposition that “virtue” alone, free from emotions, was sufficient for “Stoic happiness”. Everything else (health, wealth, even life itself), was therefore irrelevant. This is called Stoic “indifference”: apathea, that is being, acting “without pathos”, without emotions or feelings. Apathea implies that a Stoic should not care (i.e. “emotionally”) about “things” if and when they conflict with “Stoic virtues”. Stoic men have to be indifferent to “things” like emotions (passions), to distance themselves from them in order to remain “virtuous & good men”. Emotions, they say, are irrational and are due to excessive attachments to lust for the pleasures associated with fame, social status, possessions, money, love, etc. So Stoics are ultimately indifferent to them. It is a form of “ascetism”. Stoicism teaches to show concern only for what is in our control, that is our personal actions and thoughts, and to show apathy or “indifference” toward what we don’t or can’t control. Strictly speaking, and in comparison to virtue, the life or health of every person is “indifferent” to Stoics, even their own child or loved one! This Greek term apathea has given us the word “apathy” in English which is also known as a psychological state of “indifference,” a lack (or suppression) of feelings, of emotions, of interest or concern, compassion, empathy (ie “beyond words”) for others, or anything (except ourselves). “We must love ourselves first and foremost before we love anyone else. And at the moment we truly love ourselves, we will then understand our connection with everyone else for we will see that they are part of us and like us. From “Shall We Love?” by Sascha Norris. The narcissist lacks empathy: is unwilling to recognize or identify with the feelings and needs of others. Maybe, you have realized by now that “love” is absent from the Stoic list of “Virtues.” This is no accident. Yet, the Stoics preached some abstract “Universal Love”… but not a love as involving emotions, but “love as a principle.” No passion means no compassion. Welcome to Stoicism! Stoics consider their “virtues” as far above our mere human feelings. The Stoic ideal is some psychological invulnerability and superiority: the Roman Stoic Seneca even compared the wise person (i.e. the “Stoic”) to a god! Feelings of superiority with no empathy are all key symptoms pointing to a known psychological disorder called “Narcissistic personality disorder” (NPD). Some of its symptoms are: the NPD needs/wants to be recognized as superior and special, (yet without any special accomplishments), s/he envies others and believes others envy him/her. The NPD is preoccupied with thoughts and fantasies of great success, attractiveness, power, intelligence but lacks the ability to empathize with the feelings or desires of others… NPDs simply do not care about thoughts and feelings that conflict with their own. So, do not expect them to listen, validate, understand, or really support you. "As opposed to what Scott Peck says, narcissists are not evil – they lack the intention to cause harm (mens rea). As Millon notes, certain narcissists 'incorporate moral values into their exaggerated sense of superiority. Here, moral laxity is seen (by the narcissist) as evidence of inferiority, and it is those who are unable to remain morally pure who are looked upon with contempt.' (Millon, Th., Davis, R. - Personality Disorders in Modern Life - John Wiley and Sons, 2000). Narcissists are simply indifferent, callous and careless in their conduct and in their treatment of others. Their abusive conduct is off-handed and absent-minded, not calculated and premeditated like the psychopath's." Stoic obsession with “control” v. "changing the word"
Stoics are obsessed with “control”. The Stoic’s ideal is to become "apathetic", in order to not care for anything outside of his power, and own ego. It is a philosophy that can make sense when you have a lot of power (and ego), like Marcus Aurelius a Roman stoic emperor, but as a “normal” person, this means only one thing: you can only do what is in your power and if you have none (except for our own personal choices and actions)... too bad for you, mind your own business! The stoic’s advice is “indifference” and as we have seen; indifference leads to apathy, to lack of empathy and to pessimism. 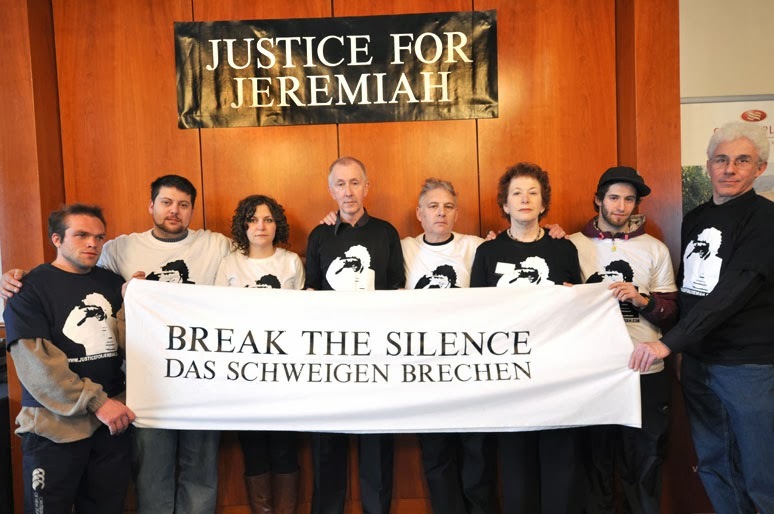 Supporting (right) the "Justice for Jeremiah" campaign, in Wiesbaden (Germany) in March 2009. But how do we know what you are really in “control” of or not? Isn’t a philosophical reason (excuse) for passivity, apathy? Was Gandhi in control of the British Empire he fought against? Nope! Yet he contributed to defeat it and gain the independence for India and Pakistan, not because he had “power” (he had none) but because he cared, he had moral values (no “stoic virtues”) and passion for them! Was Moses in control of the Hebrews’ fate, or of Egypt? Was Martin Luther King Jr. in control of the situation of “racism in America”? Nope. And there is a long list of these non Stoic historic individuals who had passions serving their ideals (and vice versa). 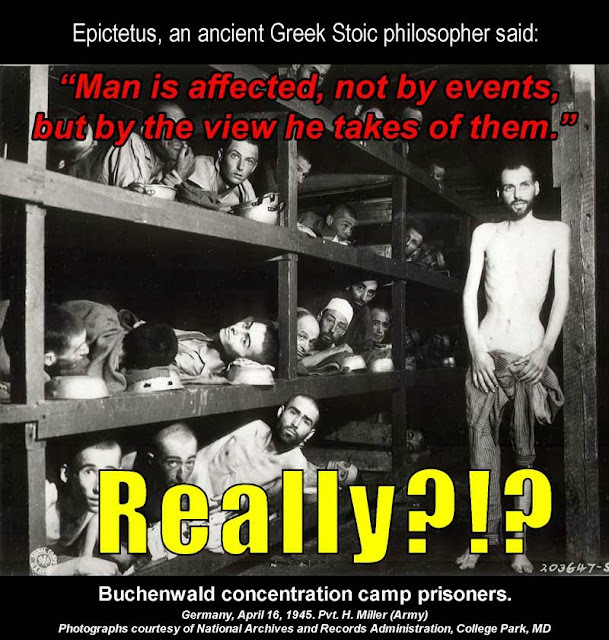 They often paid the ultimate price for this like a Socrates whom the Stoics consider as an example of "stoicism". They are wrong; Socrates had passion for his ideas, he was no Stoic! Those who act and don’t accept their “fate” as Stoics do, do so according to their moral values, because they can feel other people’s sufferings, their injustice. They have moral principles (Kant’s imperatives), they can empathise, can feel compassionate to injustice. And if they can’t (care or empathise), they will use the “Stoic excuse” for indifference, i.e. “I don’t care”. Stoics borrowed some ideas from “sad and weeping” pessimistic Greek Philosopher Heraclitus such as “All is Flux,” ever changing. Heraclitus is often painted as the sad or weeping philosopher, often put against a laughing Democritus. So, “indifference” (apatheia) leads to “happiness” for the Stoics. But does it? This “indifference” leads indeed to apathy. It is a psychological syndrome for some depressed people, in which they get a sense that "nothing matters"; a form of existential nihilism as a Niezsche, under the influence of Heraclitus’ philosophy. As a loss of motivation, apathy can however appear without being associated to depression, but long-term state of apathy tends to lead to some form of depression which in turn can cause even more apathy. It is a typical vicious circle. "The wise man will live as long as he ought, not as long as he can." In contrast to Christian and Jewish values (Sanctity of Life), the Stoics considered that suicide could be a "rational decision" when one cannot achieve "stoic happiness," that is living a "virtuous life." 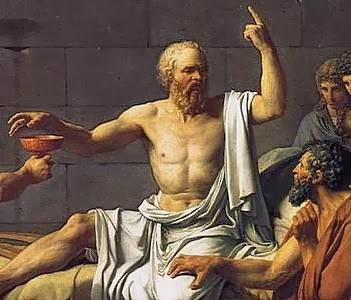 They take the example of Socrates's death as honorable and "virtuous." In fact "virtue" for Stoics is more important than life, even ours. For example, if our “natural advantages” (e.g., physical health) are required for us to be happy then ending our life neither enhances nor diminishes our moral virtue; suicide is thus "rationally" justified. In other words it is the quality, not the quantity, of one's life that matters. It this case, suicide may be justified, regardless of the character or virtue of the individual in question. From that perspective, had Beethoven also considered (Heiligenstadt Testament) to end his life when his hearing was being impaired, we would have never heard of his music since his Symphony #3! Had Professor Stephen Hawking decided early in his life to commit suicide after he learned his quality of life will be seriously diminished by "motor neurone disease", he wouldn't have achieved what most of us with healthier condition can but dream of! The Stoic philosophy is in essence a "rational pessimism". Stoicism (reason) v. Epicureanism (emotions)? Epicureanism was an ancient Greek school of philosophy named after Epicurus, an atomic materialist in the steps of Democritus. His materialism led him to a general attack on superstition and divine intervention. Although Epicureanism is a form of “hedonism,” as it defends pleasure as being “good,” its advocacy of a simple life makes it different from our "hedonism" as it is commonly understood. Epicureanism was at first a challenge to (neo-) Platonism, and later it became the main opponent of Stoicism. Democritus, another Greek philosopher was known as the laughing philosopher because he found amusement in the folly of mankind. His philosophic system was contrasted with that of the earlier Heraclitus of Ephesus, who was known as the ‘Dark’ or ‘Obscure’ and was reputed to be melancholic. 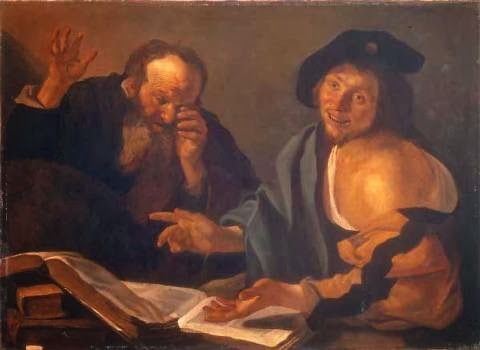 Heraclitus and Democritus by Dirck van Baburen (c.1595-1624). Towards a (non stoic) happy conclusion? Jonathan Swift (1667 –1745). an Anglo-Irish satirist, essayist and political pamphleteer. 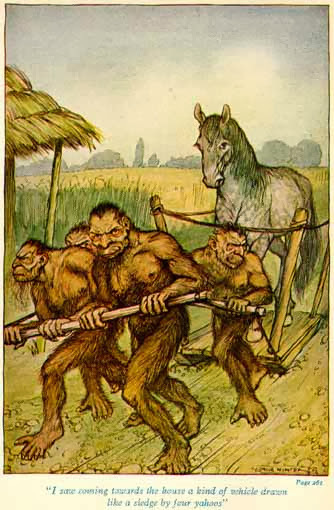 In the last part of Jonathan Swift's satirical “Gulliver's Travels,” Gulliver finds himself stranded on an unknown land inhabited by an extraordinary race of rational philosophical horses; the “Houyhnhnms” who possess a superb capacity to reason, surpassing, in Gulliver’s opinion, even that of the human species he belongs to! The Houyhnhnms are super-reasonable. They have all the virtues that the Stoics and Deists advocated. They speak rationally, they act justly, and they have simple virtuous laws. They never argue since each knows what is true and right. But they are so reasonable that, like the Stoics, they show no emotions. They are untroubled by greed, politics, or lust. They act with indifferent compassion. They would never prefer the welfare of one of their own children to the welfare of another Houyhnhnm! The Houyhnhnms represent Swift's criticism of the philosophies of pure Rationalism, Stoicism and Deism. But, the Houyhnhnms are not the only inhabitants of this imaginary land… there also exists a species of savage humanoid creatures called the “Yahoos,” the precise opposite of the Houyhnhnms who exhibit the essence of sensual (hedonist, epicurean) human sinfulness. The Yahoos are neither animals nor humans; they are repulsive in appearance and… are irrational subhumans. They represent Mankind depraved. Yet they are utilized by the Stoic, rational and virtuous Houyhnhnms as servants. Note: Yahoo! Founders Jerry Yang and David Filo selected the name because they considered themselves yahoos like Gulliver did! Gulliver’s time spent with the Houyhnhnms causes him to hatred of not just the Yahoos, but of humankind as a whole. This Swift’s satire was aimed at the British class system and it s Puritan "keep a stiff upper lip", a Christian version of Graeco-Roman Stoicism. The Houyhnhnms-horses symbolize the English upper class. The subhuman Yahoos symbolize the lower classes. No wonder Stoicism was popular among upper class Romans, including their emperor Marcus Aurelius. Indeed Stoicism like Puritanism often produced great nobility of character in its adepts with their astonishing heroism and selflessness. But both showed frequently a coldness and harshness, with no sense of humour or joy which unwittingly seek to be "superhuman," but all too often is downright inhuman. See my Oliver Cromwell's mportrait here. Midway between the poles of the Houyhnhnms and the Yahoos, Swift places Gulliver, the average person. Like him, a man or a woman is capable of BOTH reason (yet not always), AND compassion (yet not always). On this theme of “Indifference”, view my "Indifference" painting/post.